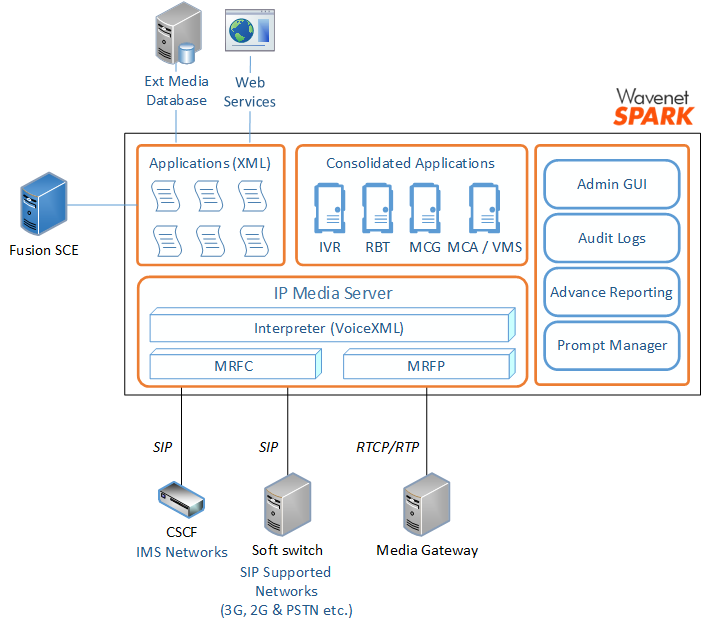 The Spark IP Media Server platform is a pre MRF media server built using Open standards. Spark IPMS can be easily integrated to even evolving networks such as IMS networks making it future proof and facilitating Operators to extract greater returns on investments. Spark platform can be used as a base for all types of voice applications supporting CCXML and VXML. Programed SOAP interface opens up the platform to external applications to offer higher-value services to the consumers. The Spark IPMS platform also supports the operation of multiple revenue generating applications. Missed call alert is a call completion VAS where users are sent a SMS about an attempt made by a caller to reach the user when away from the network. A solution that facilitates users with insufficient balance to place a missed call to the call terminating party. Collect call enables subscribers with low balance to request a call from another subscriber free of charge, provided the recipient accepts charges for the call. Blind transfers – call control is passed to 3rd party and call leg can be terminated. This is extremely useful in real life situations such as customer care applications, where if a customer wants to, he/she can select option to speak to an agent and call can be transferred without prompting to go back to main menu. Bridge transfers – call control is maintained within the system. However media is transferred to 3rd party but may be done as a copy. This is important in situations where control of call is necessary and option should be made available for reverting to former option. Text to speech is now fully supported to allow greater options to gather inputs from callers apart from traditional input methods such as DTMF. The connectivity to external web servers for services e.g. over MRCP to communicate with external speech servers for TTS services.